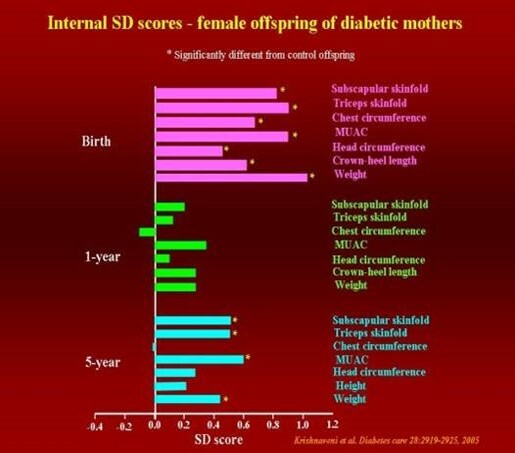 Mothers with gestational diabetes have a higher risk of developing diabetes themselves, and their offspring develop higher adiposity/obesity, insulin resistance and diabetes. Gestational diabetes provides an example of programming due to fetal overnutrition, caused by intrauterine oversupply of fuels including glucose, lipids and amino acids. The Mysore Parthenon Study was set up to specifically study the long-term effects of gestational diabetes mellitus (GDM) on their offspring. This study showed that the children born to GDM mothers were larger at birth and had higher subcutaneous adiposity compared to the newborns of non-GDM mothers. 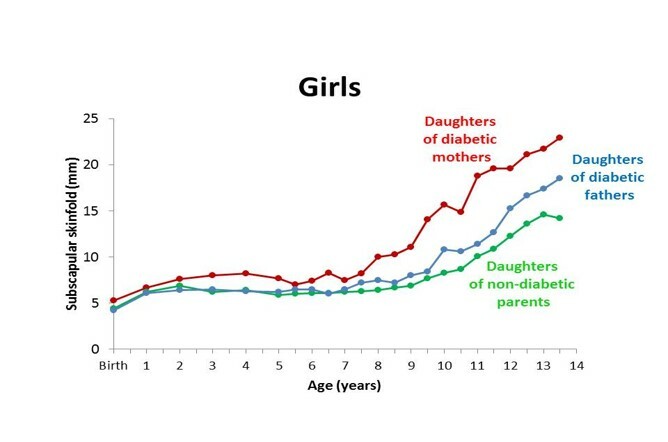 The difference in adiposity continued to increase throughout childhood, and at 9 years, the children of GDM mothers had higher glucose and insulin concentrations and higher insulin resistance. 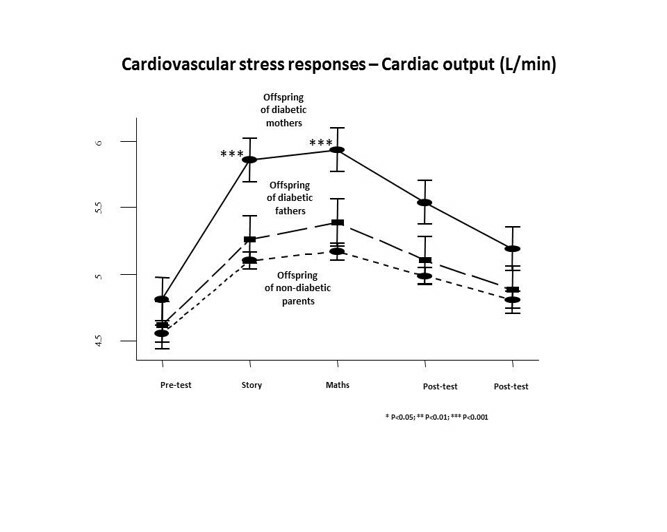 Maternal diabetes during pregnancy is associated with higher cardiosympathetic stress responses in the offspring, which may contribute to their higher cardiovascular disease risk. In collaboration with Dr CS Yajnik in Pune, we have started a new study examining the effects of gestational diabetes on offspring aged 2-21 years. The study will include epigenetic investigations and will be one of the largest of its kind. We expect the study to offer important insights into the mechanisms of fetal programming by gestational diabetes.